After five years, Sir Bryn Terfel is back with his eagerly-anticipated new studio album ‘Dreams and Songs’ – to be released on 14th September on Deutsche Grammophon. It’s a collection of his favourite tunes, recorded in brand new orchestral versions and including some special guest duets. Acclaimed worldwide for tackling the biggest opera roles, Sir Bryn’s new album shows his lighter side with popular concert pieces, traditional Welsh songs, musical hits and entertaining encores. Among the pieces on his new album are ‘If I Were A Rich Man’ from Fiddler on the Roof, Welsh folk song ‘Ar Lan y Môr’, Irish ballad ‘The Fields of Athenry’ and one of his party pieces, ‘The Golfer’s Lament’. There will also be a host of famous guest artists to be revealed in the coming weeks. Alongside his new album, Sir Bryn Terfel continues to give major performances around the world, including the title role in Falstaff at London’s Royal Opera House in July, opening the National Eisteddfod of Wales in August, and reprising his title role as Sweeney Todd at Zürich Opera in December. 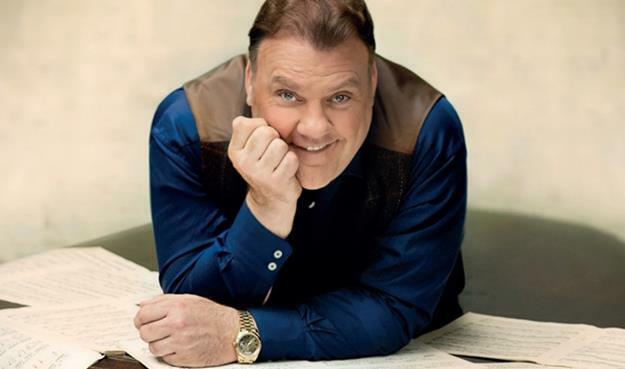 Sir Bryn Terfel has established an extraordinary career, performing regularly on the prestigious concert stages and opera houses of the world. He is a Grammy, Classic BRIT and Gramophone Award-winning bass-baritone with a discography encompassing operas of Mozart, Wagner and Strauss, and more than 15 solo albums including lieder, American musical theatre, Welsh songs and sacred repertory. Last year he received a knighthood for his service to music. In 2015, Sir Bryn marked his 50th birthday and 25 years in the profession with a special one-off gala concert at the Royal Albert Hall, presented by Hollywood star Michael Sheen. The celebrations continued at Cardiff’s Wales Millennium Centre, where he sang Scarpia in a special concert performance of Tosca with the Welsh National Opera. Operatic highlights to date include: his debut in the role of Hans Sachs in the critically-acclaimed production of Die Meistersinger von Nürnberg for Welsh National Opera; Wotan in The Ring Cycle at the Royal Opera House, Covent Garden and the Metropolitan Opera, New York; his debut in the role of Reb Tevye in Fiddler on the Roof for Grange Park Opera; his debut in the role of Boris Godunov for the Royal Opera House; the title role in Sweeney Todd for English National Opera; and hosting a four-day festival, Brynfest, in London as part of the Southbank Centre’s Festival of the World. Equally at home on the concert platform, his highlights range from the opening ceremony of the Wales Millennium Centre, BBC Last Night of the Proms and the Royal Variety Show, to a gala concert with Andrea Bocelli in Central Park, New York, and for nine years, he hosted his own festival in Faenol, North Wales. Concerts and recitals in 2018 include Aldeburgh Festival, the Classic BRIT Awards at the Royal Albert Hall, Canterbury Festival, Teatro Colón in Buenos Aires, Oslo Opera House and London’s Royal Festival Hall.